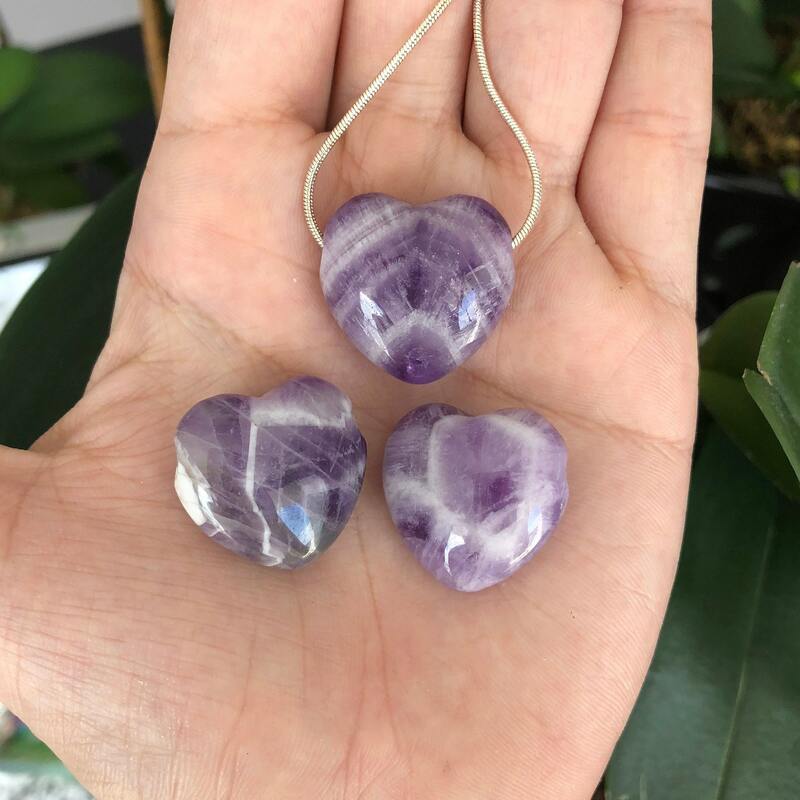 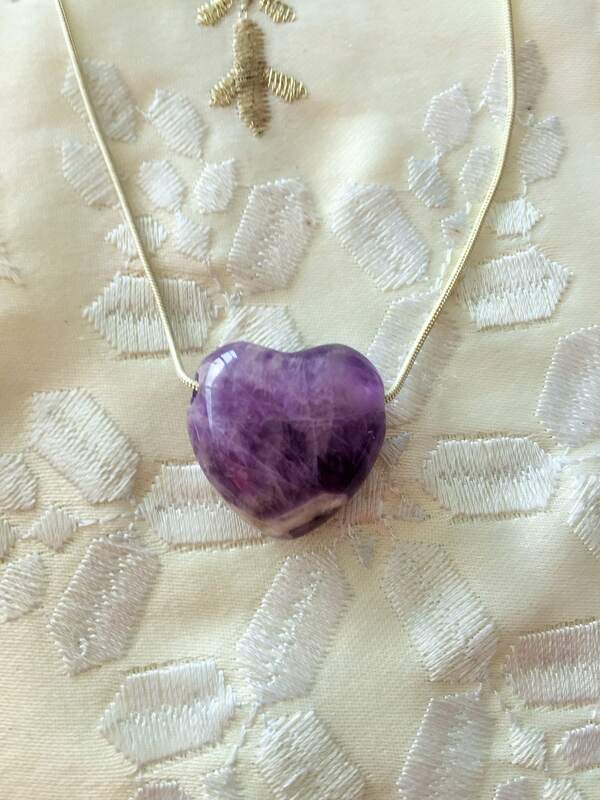 Receive this premium quality Amethyst Heart Crystal Pendant with a necklace. 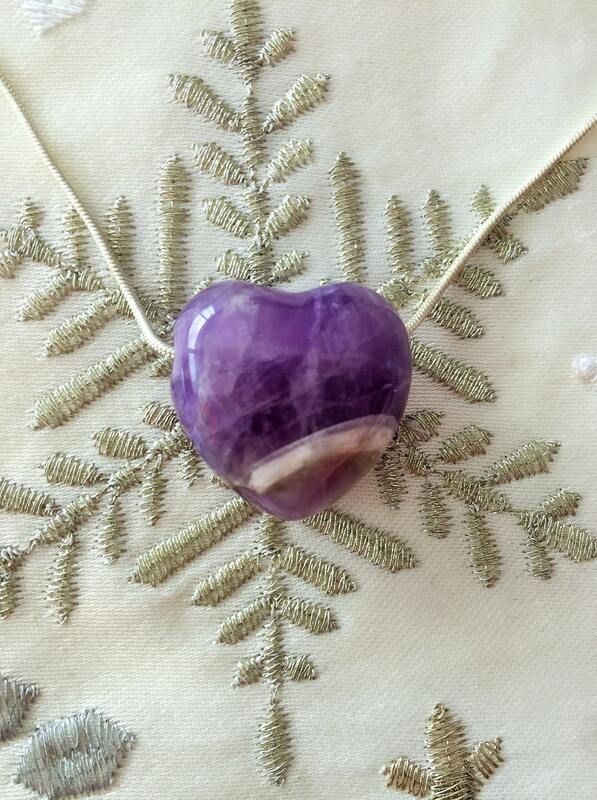 Amethyst is a stone of major healing. 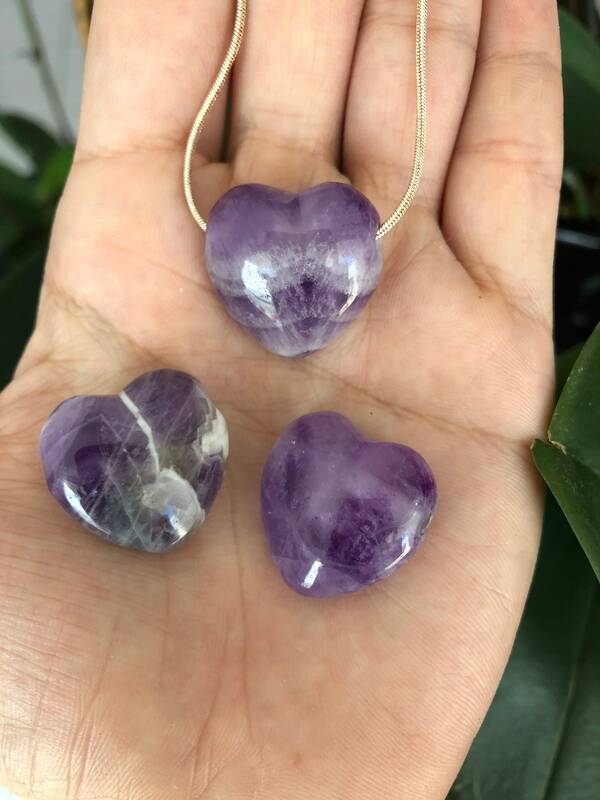 Wearing amethyst shields against psychic attack, paranormal harm, or ill-wishing. 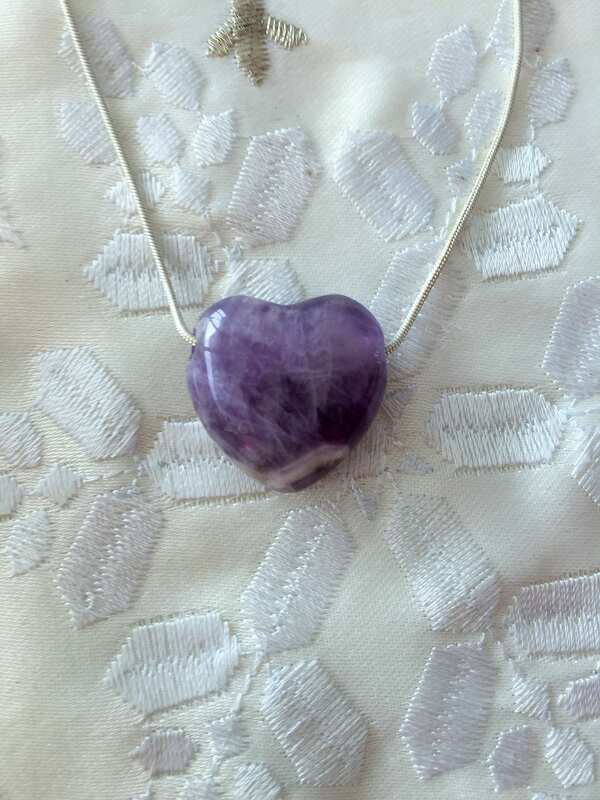 It recycles this heavy energy back to the universe to be changed into positive, loving energy.